So there I was, sitting with a group of self-professed Doctor Who fans, in front of a group of dedicated Doctor Who fans, many in costume, and there’s me: a casual Doctor Who fan peddling a book that has nothing whatsoever to do with Doctor Who. And, it turned out, that was just fine. The pros and cons of my headline were really just a semi-clever play on words – there weren’t a lot of cons about my convention experience. Thanks to author Natalie Buske Thomas, I sat on a panel with some other interesting artists, and got to share a little about my work and my writing. It turned out, people really seemed to like what I had to say, they listened attentively, and even laughed at some of my jokes (even my friends don’t laugh at my jokes – they must all be really nice!). Several people stopped me in the hall afterward and told me they would have liked to have heard more from me. I happily obliged them in conversation and met some really cool people as a result. And I sold ebooks. How? That’s a question I had myself until the night before the con, when I finally found an idea: For $1, I emailed the person an ebook and gave them a copy of the promo card. I sold them to most of the people who stopped long enough to look at my book – the hard part was getting people to stop long enough. One of the other highlights of the day was sitting next to Natalie herself – I’d met Natalie on Twitter, and through our Twitter connection she ultimately invited me to be apart of this panel. Natalie’s a pretty successful author, has a pretty good following, and has a wealth of experience. I did my best to pick her brain for as much knowledge as I could, without being a pest! I think the best part of the con is meeting people – even though I’m not the world’s largest Doctor Who fan, in terms of knowledge and time invested into the series, I do enjoy the show, and have seen most of the new series. And as a sci-fi fan in general, I really do love the experience of talking to fellow sci-fi enthusiasts, and my book gave me a great chance to make those connections. 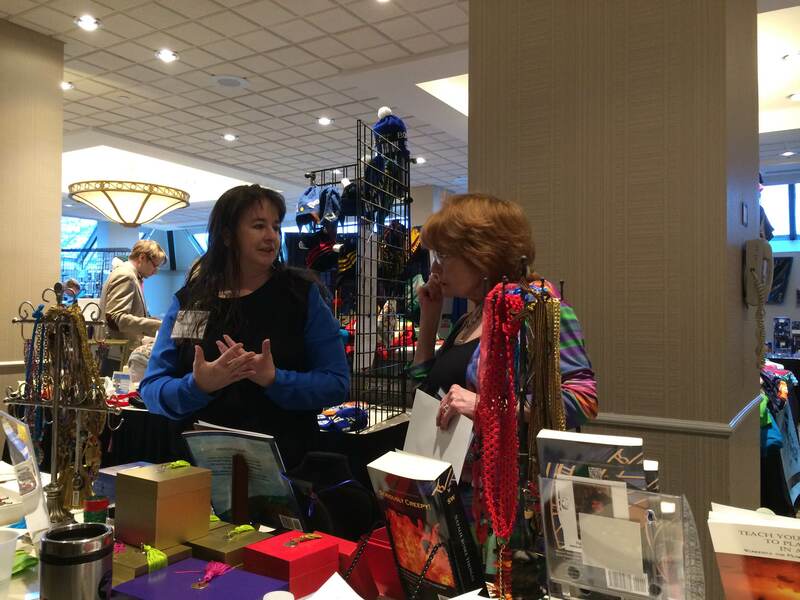 The author who invited me, Natalie Buske Thomas, left, talks with Deborah Watling, who played the second doctor’s companion. She was very cool! I’m truly appreciative to everyone who bought my book – a number of people expressed delight that I had a female lead. For those who have read Robot Awareness, Part I, you know that Isellia isn’t one to sit in the background. Without my even realizing it, she had planted her flag on center stage and made it clear she wasn’t going anywhere. My characters seem to have minds of their own, and Isellia is no exception. And that’s a good thing. There’s plenty more I could say about my con experience, but I’ll leave it at that for now. Thanks to all the wonderful people I met this weekend! If you were there, leave a comment! 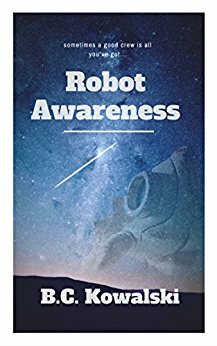 Buy Robot Awareness, Part I right here: (Robot Awareness). Only $0.99! Previous Heading to the CONsole room to promote my ebook! Next Robot Awareness on Facebook! 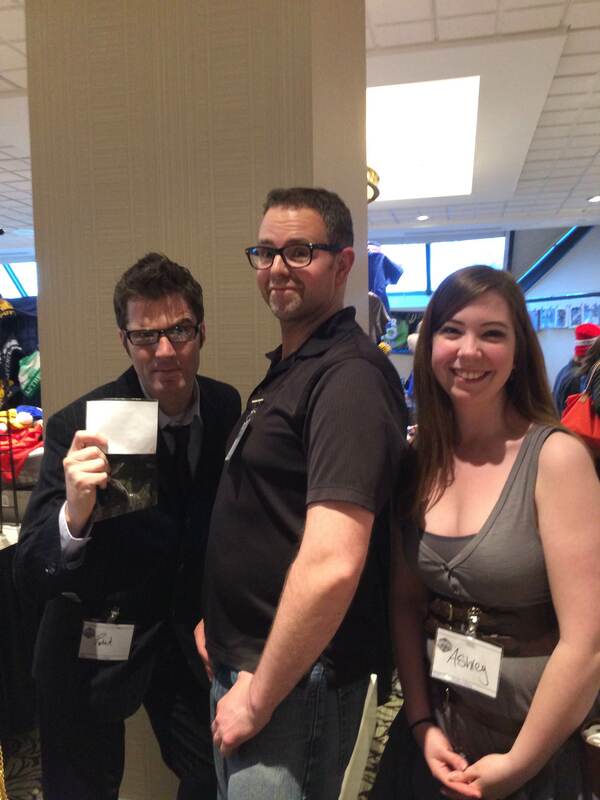 Great to meet you at the con, Thanks for posting the pic of you with ‘Amy Pond’, I’ll be sending everyone I know to check out your blog! Can’t wait to read your book. Thanks so much, Naomi! 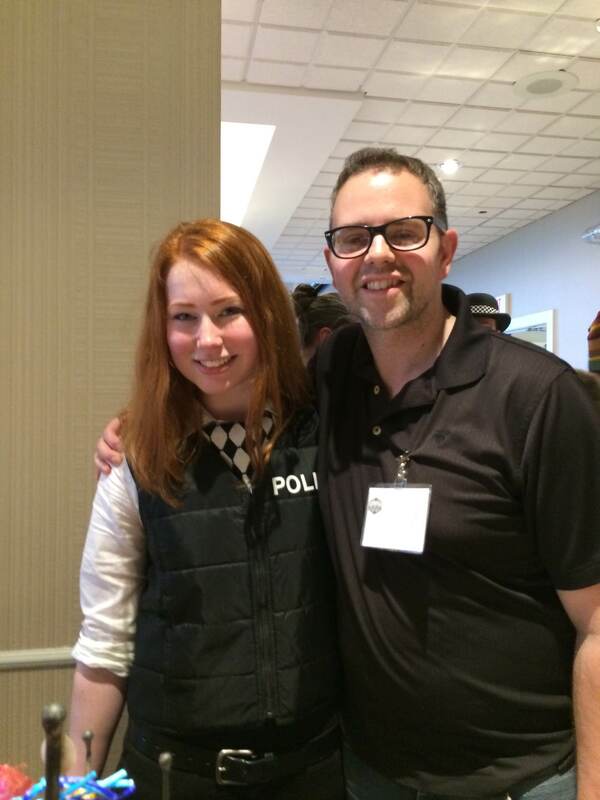 I very much enjoyed meeting you and your daughter, who looked very much like Amy Pond! Thank you again for buying my book, I hope you like it! And thanks so much for sharing my blog with others! If you like the book, would you consider leaving a short review? Thank you so much!